Scenes like this may become more common in the future, as rainfall will increase in some areas. 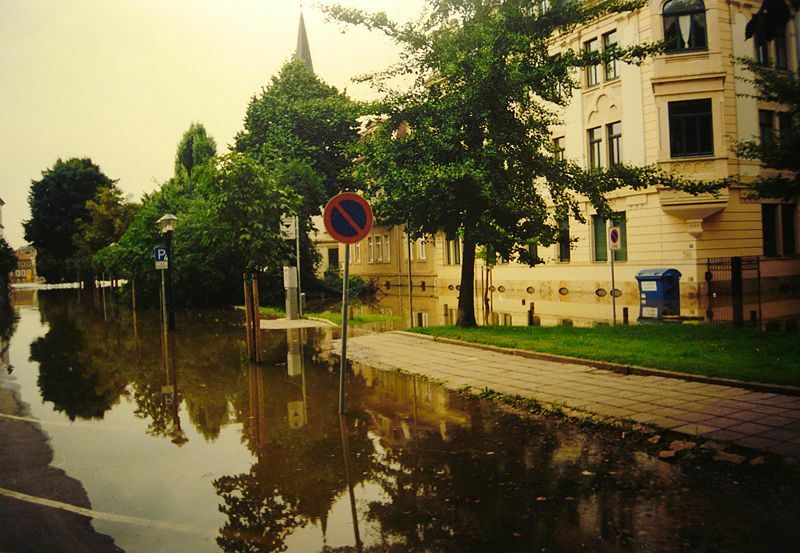 This image is of a flood in Pirna Germany, in August 2002. Photo source: Wikimedia Commons. No, not the end of the Mayan Calendar, its time to talk about water in the future. To find out what will happen to our water resources under various climate change scenarios, I went to the Intergovernmental Panel on Climate Change (the IPCC). Climate Change and Water, Technical Paper VI was published in 2008, and has gathered together as much relevant scientific knowledge as possible. Its aim was to create links in knowledge, and inform the policymakers who need to make decisions about freshwater management for the future. Today I’m going to introduce you to the broad challenges that we face with the current projected climate changes, and explore them in more depth in the coming posts. In the next 100 years extreme precipitation is projected to increase in high latitudes and part of the tropics. Areas which are classified as ‘very dry’ have been increasing, with precipitation likely to decrease in some mid latitude and sub tropical regions. These changes in global precipitation patterns are very likely to increase instances of both drought and flooding in many areas. Globally ice and snow stores are expected (with high confidence) to decrease over the next century limiting availability of water in areas that rely on seasonal snowmelt as a source of water. These areas contain approximately 1/6 of the world’s population. Glacier water storage is likely to decrease as the atmosphere warm. 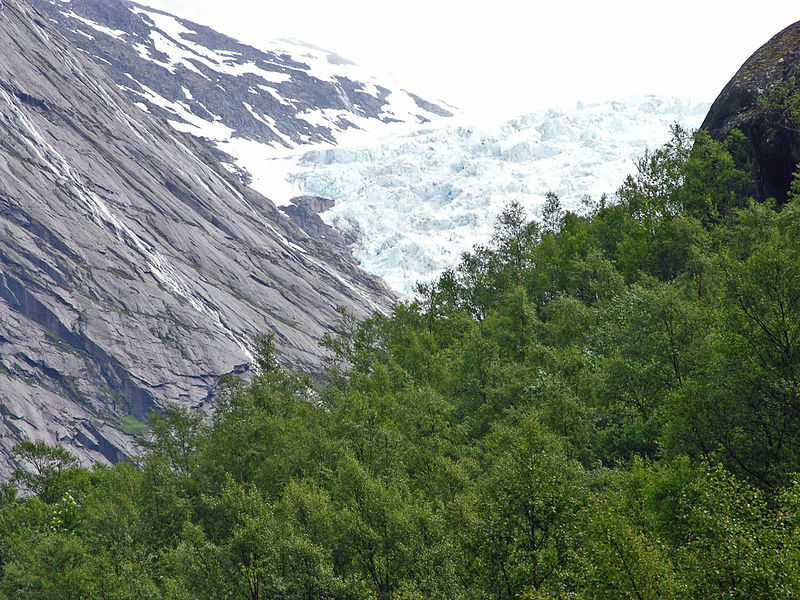 This image is of the glacier Briksdaalsbreen in Norway. Photo source: Wikimedia Commons. Increased water temperatures are likely to exacerbate many types of water pollution. It will affect suspended sediments, nutrients, carbon, and pathogens. In turn, this will negatively impact ecosystems and human health. This will further reduce fresh, safe water available to us. Changes to the water system will affect food availability. This is especially the case in dry and marginal areas, and is likely to make already vulnerable people more vulnerable. The negative impacts of climate change on our global water system are likely to outweigh the positives. Areas which will have positive increases in total water supply (such as a higher rainfall for crops) are likely to be subject to negative processes such as increased variability and seasonal shifts in water supply (eg. all the rain comes at once in a big storm). On a positive note, the report states that mitigation measures can reduce the impact that climate change will have on our water supplies, if planned and managed sustainably. 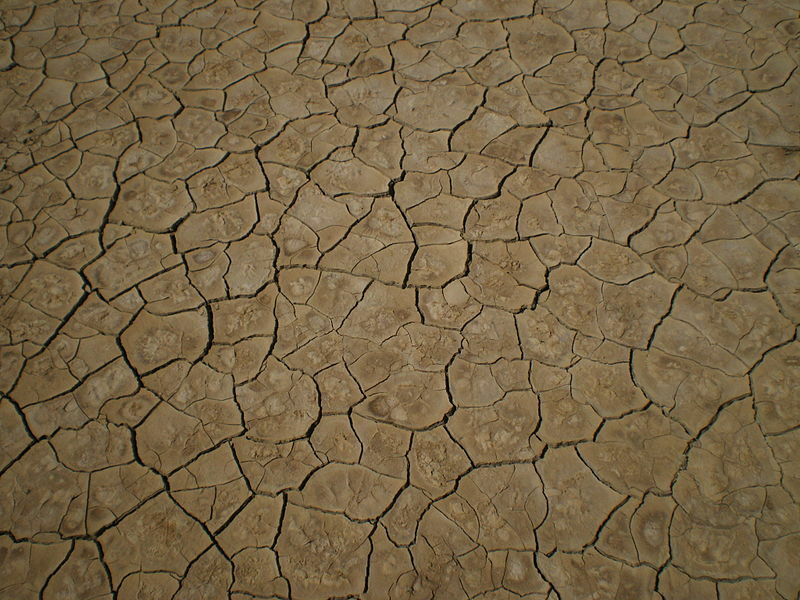 And to balance out the flooding, the obligatory cracked earth portrayal of drought. Photo source: Wikimedia Commons. While this all sounds pretty dismal, don’t despair! Despite facing huge issues in the future, there are positives. As well as the global push to reduce our greenhouse gas emissions (remember every car ride counts! ), there are some pretty interesting smaller scale solutions and mitigation techniques that have been started out there to address these issues. Tune in next time to hear more.